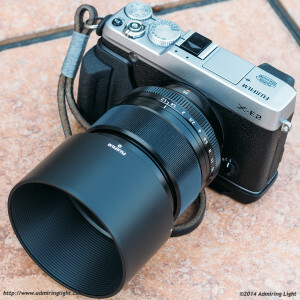 The long-awaited Fuji 56mm f/1.2 is here. Since first appearing on the Fujifilm lens roadmap over a year ago (then as a 56mm f/1.4), Fuji has upped the speed by a third of a stop, finalized the design and shipped one of the last missing links in the Fuji X prime lens lineup: a fast portrait lens. I’ll take an in-depth look in this review of the Fuji 56mm f/1.2, and see whether Fuji hit the mark. The Fuji 56mm f/1.2 is the largest of the Fuji prime lenses, being roughly the same diameter as the 23mm f/1.4, but slightly longer. Despite the size the lens is lighter than you might expect and it handles well on my X-E2 (though I do use the MHG-XE grip). The lens is constructed entirely of metal, with a wide ribbed focus ring and the standard Fuji aperture ring at the base. The focus ring on the 56mm f/1.2 is very well damped and generally smooth, though I notice if I turn it enough, the resistance you feel can change, which is a little odd. The aperture ring on my 56mm is a little looser than I’d like, though not loose like the one on my 14mm f/2.8. Overall, the lens feels reassuringly solid and well put together. The 56mm f/1.2 comes with a plastic bayonet mount lens hood that is reversible for storage. While the hood doesn’t exactly feel expensive, I’m fine with a plastic hood, as I don’t need to worry about scraping the lens body like I do with the metal hood used on the 60mm f/2.4 macro. One nice thing with the 56mm’s hood is that it is interchangeable with the Fuji 55-200mm and vice versa. Either hood mounts securely to each lens and provides good shading with no vignetting. As a result, it’s one less hood I need to have in my bag. When Fuji created their X-Trans II sensor in the X-E2 and later the X-T1, they created a focusing paradigm that makes it difficult for us reviewers out there. See, in PDAF mode, the 56mm f/1.2, like most Fuji lenses, focuses extremely quickly. However, when CDAF is used, it’s not nearly as fast. 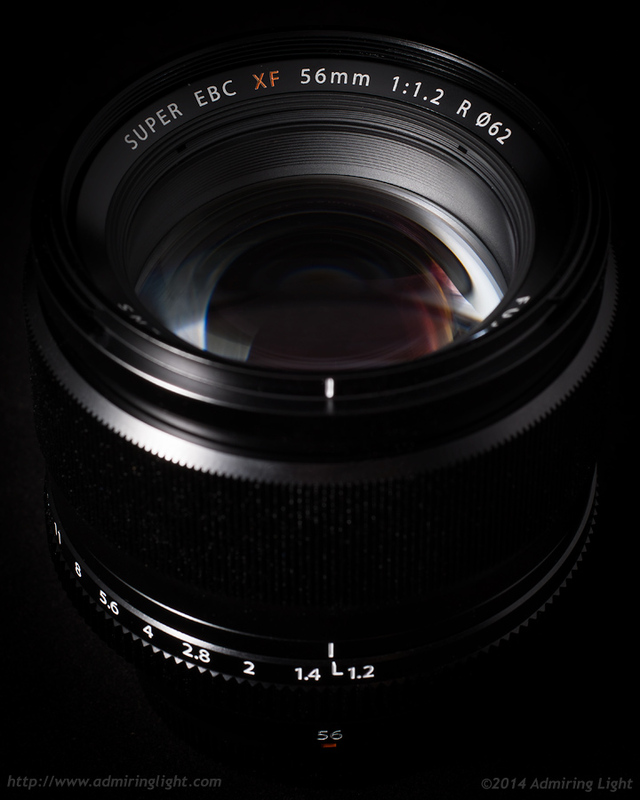 In CDAF mode, the 56mm f/1.2 is an average performer at best. It’s not slow to focus, but no one would call it ‘fast’ either. Still, for my purposes, it works just fine. I did find that when using PDAF for tracking motion with the X-E2, the 56mm f/1.2 did a very admirable job keeping up with moving subjects. I was able to capture a nice shot at f/1.2 of my son crawling towards me, as well as my daughter riding her bike directly at me. Overall, focus accuracy was excellent for me as well. While I still wouldn’t count on the Fuji system for dedicated sports shooting, I think for most uses, the focus performance of the 56mm f/1.2 will work just fine. Compared to other f/1.2 portrait lenses I’ve used, the 56mm falls somewhere in the middle in terms of focus speed. It’s notably faster to focus than the Canon 85mm f/1.2L, and notably slower to focus (except in PDAF) than the Panasonic Leica 42.5mm f/1.2 (which I am shooting for review at the moment). The XF 56mm f/1.2 focuses down to 0.7m, which is relatively close for a lens in this focal range and speed. Similar full-frame lenses usually only focus as close as 0.85m to 1m. While it’s not going to get you into extreme closeup territory, it does allow you to frame relatively tight portraits. Fuji has sincerely done a great job with their X series cameras and lenses. They have even managed to keep the prices reasonable on all fronts too – one can not help but compare this lens to the Panasonic Leica DG Nocticron. Compact size on the other hand isn’t one of Fuji’s strong points, but it doesn’t really hurt anymore, as other mirrorless offerings are going for noticeably bigger designs as well. Sorry but i think that Fuji did a mistake with this lens. If this lens is sharp in center & corners at f4….you must buy the cheaper, smaller & weightless Fujinon 60mm f2.4 because this lens is sharp corner to corner from f2.4. Fuji thanks. Two similar lenses with a budget differences of 500 bucks. You’re missing the entire point. First of all, the 56/1.2 is quite sharp across the frame at f2.4 (and quite sharp across the frame even faster than that), however, if you’re only going to be shooting at f/2.4 or slower (or you want closer focusing), of course you’re going to get the 60. You get the 56 for the TWO FULL STOPS of aperture capability over the 60. This is a lens for subject isolation and speed. And a $500 difference for that isn’t big. These are similar lenses only in focal length. In every other way they are quite different. 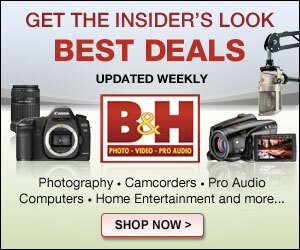 What do you say about something like Canon having an 85/1.2 that costs 5 times the cost of the 85/1.8? …and that’s only a one stop difference and the f/1.8 can’t do macro. Having both lenses, there is very little difference between them at f/2.4.